Thiruvananthapuram: A couple broadcasted two woman police officers live on Facebook who were trying to moral police them and the post went viral on Tuesday. According to The News Minute, the couple, Vishnu and Arathy were sitting in a garden outside the Napier museum in Thiruvananthapuram when the police spotted them. 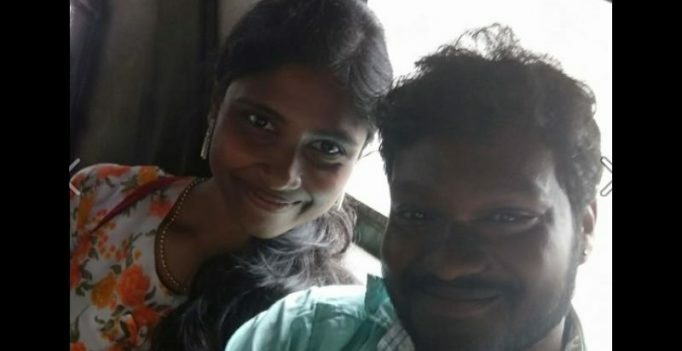 The police asked the couple if they were married and on finding out that they had not tied the knot, the police said that such behaviour in public is vulgar. Vishnu immediately started broadcasting the dialogue live on Facebook. In the three-minute video, Vishnu can be seen asking the police several times as to how their behaviour was objectionable. The post went viral on Facebook and has 54,000 views. Vishnu and Arathy also claimed that the officers lectured them on ‘good behaviour’. The officials answered by saying that the couple had broken the rules and alleged that they had seen them kiss. However, Vishnu claimed that he only had his arm around Arathy. Nevertheless, police arrested the couple and let them off after they were charged for creating public nuisance. The parents of the couple were also summoned by police at the station. However, according to the report, they did not want to get involved in the issue. “They did not have any proof of our vulgar behaviour. At first, we did not agree to be taken to the station. Then two male officers joined and one of them verbally abused me. He called me a “bloody rascal” and asked us to cooperate,” Vishnu was quoted as saying. But police stuck to their story and claimed that the couple were creating public nuisance. Police also said that the couple was arrested as they were reluctant to give their identity.